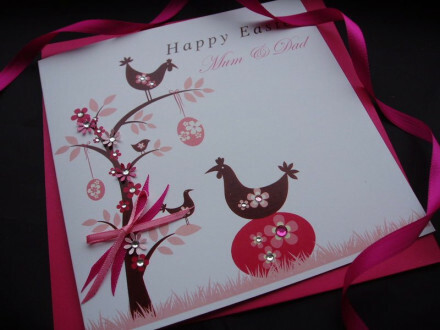 This beautiful Easter card is perfect for you to celebrate Easter Sunday. This Easter tree is hand-embellished with a smattering of clear crystals, shimmering flowers and a hand tied layered ribbon. A card that is sure to delight your friends and family.